SNA BLOG: Are Kenyan teams Africa's new 'whipping' squads? Are Kenyan teams Africa's new 'whipping' squads? ‘You want to your team to win just play against a Kenyan side!” a Ugandan journalist once teased me. It was a remark that I fervently disputed, proudly referring to the success story of Kenya 7s team riding high in the Rugby series and the women’s volleyball teams (Kenya and Clubs) which by then were perched up pretty as African queens. His line of thought then was driven by a below par showing by the Harambee Stars at the regional Cecafa championships and an equally lackluster showing by local clubs in the basketball zone five championships. But recent score cards by 'East Africa's big brother' teams in international events are threatening to turn the banter into a statement of fact. When the U21 hockey teams failed to turn around their fortunes in the Africa junior qualifiers their thoughtless check out from the designated hotel in Randburg in South Africa to a cheaper motel, was as usual quickly elucidated as a reason for the four out of five ranking for the men and women teams. In Qatar, no sooner had the World volleyball club championships served off, the Kenya Prisons were back home after honouring their paid up tour of Doha by the FIVB, and ‘advancing’ their loss tally to six matches at the tournament. Amid all these unproductive sporting outings Harambee stars too had a chance to uplift their crestfallen fans, but again they lost! Yes, it was a more improved performance by the national football team but in soccer like in any other sports and as Jose Mourinho would tell you for free the scoreline is what matters. The 2-1 narrow loss to South Africa will evidently affect the country’s position when the FIFA rankings are released in a couple of days. Hopes of reviving our lost fortunes in basketball like in hockey for now are cold and buried. Eagles wings that provides the bulk of players to the fading national women’s squad, is joining the long list of the failing 'touring' squads. In three matches, they lost all, but never mind it’s all about giving the team the much-needed international exposure. Any lessons from the losses ? Zone five champions? Champions of teams who are still developing a sport you perfected and conquered in the 80s,90s? The real tests like All Africa Games; Africa championships have become tough algebraic equations for Kenyan squads. Remember the African swimming championships in September? Kenya actually had a team of swimmers (about 23) and was not only represented by Jason Dunford. The others were all part of the ‘exposure programme’. Yes it is unfair to have lofty expectations but is it too much to expect some results after the ‘good exposures for our teams for the future’? Indeed, exposure can only be measured by improved showings, times and results in the future but seems like our future is over and gone. But the whipping’ status, the continual dwindling fortunes of the Kenyan teams in international competitions, clubs in the majority of the sports, can be directly linked to the low caliber of our leagues. The argument that these sports are not Kenya’s forte doesn’t hold any water. 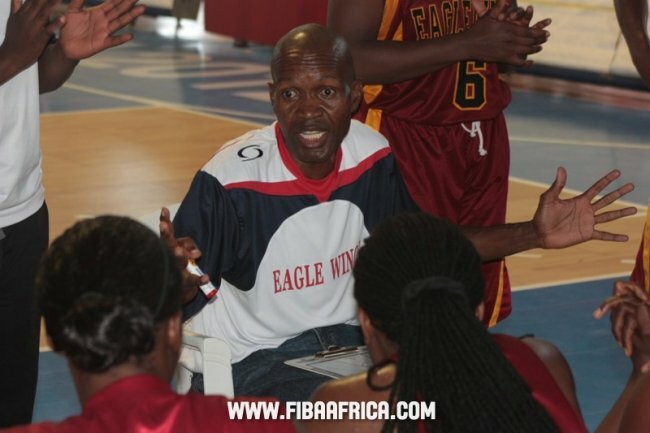 Our men and women basketball teams were perennial semi finalists in the African championships and our fading women's team(basketball) qualified for the World championships in 1994. Kenya was always on the radar of American college basketball coaches. It almost sounds far-fetched that Kenya was a hockey powerhouse not only in Africa and at one point was ranked among the top five nations in the World....and the country was never in doubt of failing to qualify for the Olympics or global championships. We have hockey stars like Cliff Odendo, Clement Omany, Eric Odingo and basketballers-Solomon Onamu, Peter Kiganya who played in top leagues abroad, the lucky few who jumped to safety before their ship sunk. Look at cricket; we struggled against Namibia recently in the ICC intercontinental cup, distressing for fans who have watched their team intensely lobbying for a deserved test status and now barely struggling to be an associate member, in barely a decade. Maybe it’s time to direct the millions channeled towards experience to boost the technical aspects of the game by hiring foreign coaches,trainers like in the Kenya Premier league and semi-professionalizing the teams like rugby 7s. Our development aspect is not in doubt with a vibrant schools programme. Forget the government support, chase and nag the slippery sponsors by boosting the popularity of the local game by attracting the numbers to the gynamasiums, stadiums, paying not just to pass time but enjoy some good competition. It could mean missing a few competitions, paying a few fines to the Continental federations taking time to rebuild and regain our golden sporting era. All in the hope that our ‘deprived’ members of parliaments can see the need to expedite the passing of the sports bill with the zest they passed the gratuity pay package... A bill which amongst others provides for the establishment of a trust fund, through a National Sports Lottery …all in the hope of shedding off this annoying ‘whipping tag’.